UVA (Suncover) - This is a 6 mil film that offers UVA protection for a typical 4-year lifespan. This pricing is for a 20' x 50' size piece. This can make a moderately sized greenhouse or a hoop house. 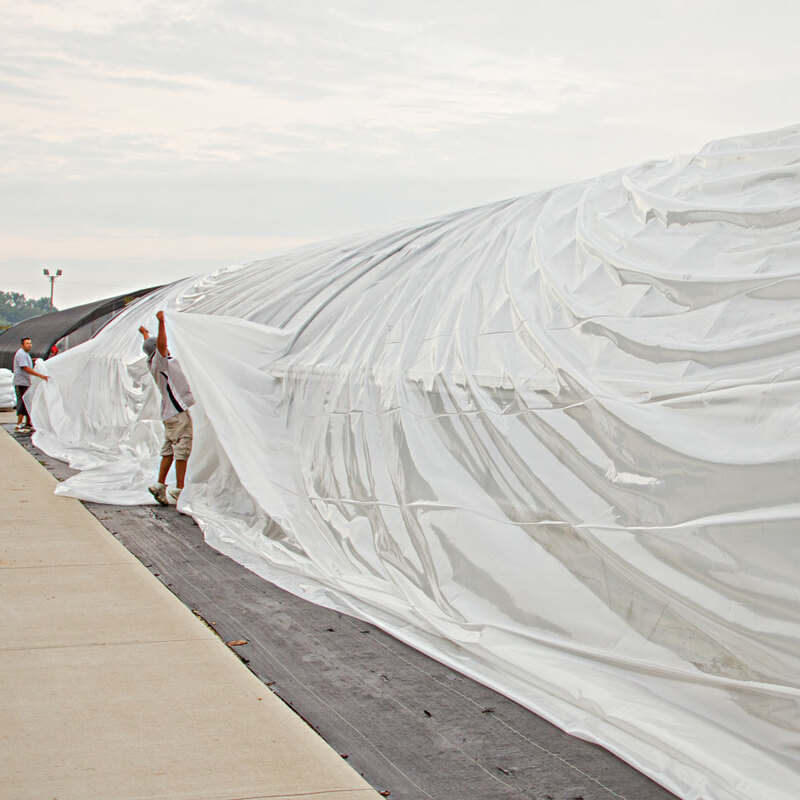 Ginegar greenhouse plastic is a..
Ginegar greenhouse plastic is a grow film with a UVA inhibitor for a long-lasting, high quality, greenhouse plastic. Our sheeting is available in the following widths: 6’, 10’, 12’, 14’, 16’, 18’, 20’, 22’, 24’, 25’, 28’, 32’, 40’, 42’, 44’, 48’, 52’, and 54’. The most popular sizes are the 24’, 28’, 36’,and 48’ widths in 100’, 120’, and 150’ lengths. However, we can custom cut any length. Please call us for pricing/info on sizes not listed here.